The Boy Who Granted Dreams tells the story of an Italian-American boy growing up in the gang-ruled lower East Side slums of New York in the early 1900s. From the actions that lead to his conception through to a single life-defining moment, this tome will make you fall in love with the boy called Christmas. Below is an excerpt from the beginning of the novel (which carries on directly from the extract at Raven Crime Reads) that gives you an insight into the life that Christmas’ mother, Cetta escaped from when she moved to New York. When she heard the boy she’d sent out to look for Concetta come running back screaming, the mother didn’t stop stirring the minestra of onions, and pig fat. But her breath ached in her throat. She heard her son saying something to his father, heard them rush down the three wooden steps that had been worn black as fossil coal. Only after a whole handful of minutes did she hear her husband shouting her name and her daughter’s. Then she left the pot on the fire and ran outside at last. Her husband was carrying Concetta in his arms, her face bloody, her clothes ripped, drooping like a rag in her father’s calloused hands. Then the mother took her daughter’s face in her gnarled hands and gazed at her with love and desperate determination. “Now you won’t have any bastards growing in your belly,” she said. Before autumn came the padrone had stopped sounding his horn when he drove past the shack, resigned to the idea that Cetta was hopelessly lame. By the beginning of winter, he never dove past their house. He took another road home. Growing up on the streets of New York in the 1900’s isn’t easy and Christmas understands the need of respect in his rough neighbourhood from an early age. When honest work’s tough, badly paid and hard to come by it’s hardly surprising that crime looks like such a reasonable option. But one day he and his friend discover a girl in the street, bruised, bloody and seriously hurt. When he carries her home he’s overcome by a want to protect her but he has no idea how she’ll change his life forever. The Boy Who Granted Dreams by Luca Di Fulcio is an epic tale of love, pride, violence and friendship that will stay with you long after you’ve read the final page, leaving you fondly recalling Christmas like a genuine friend you used to know. 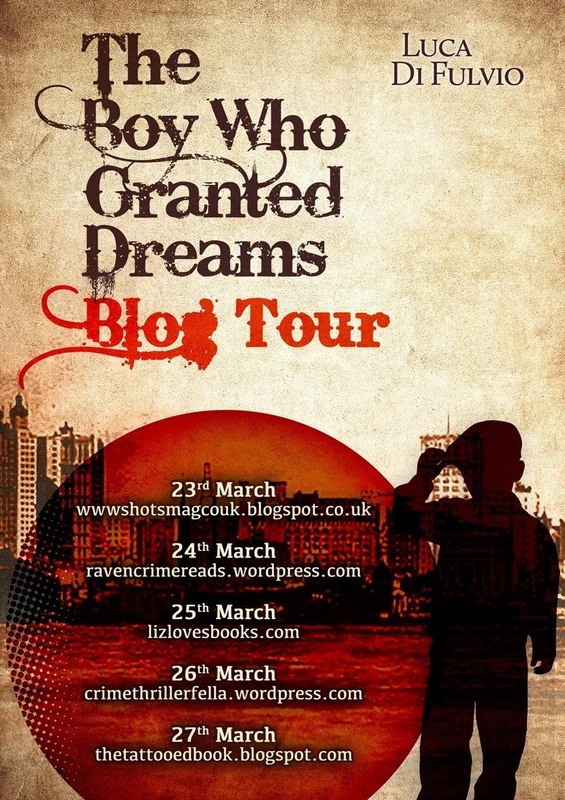 The Boy Who Granted Dreams by Luca Di Fulvio is published 23rd March by Bastei Entertainment, price £4.99 as an eBook. Buy your copy of The Boy Who Granted Dreams by Luca Di Fulcio from Amazon here.